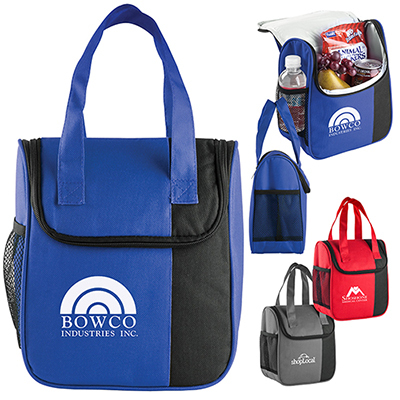 Your clients and business associates will feel overwhelmed when they receive this promotional Monterey Lunch Cooler Bag. 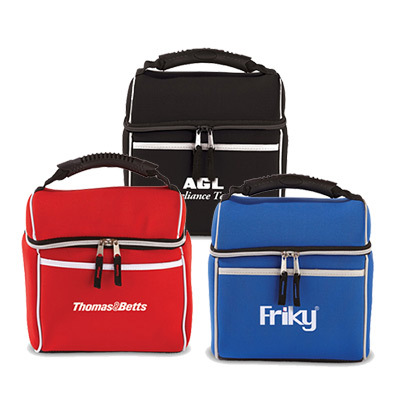 It has a spacious, zippered main compartment to keep lunch cool for a long period. 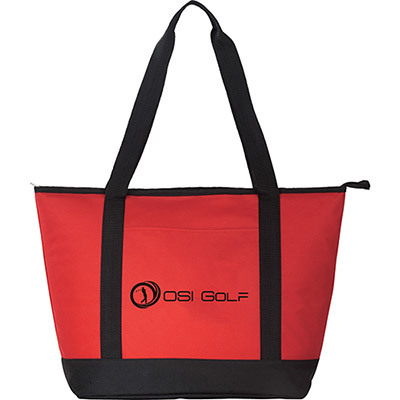 The mesh side pocket can accommodate a water bottle. 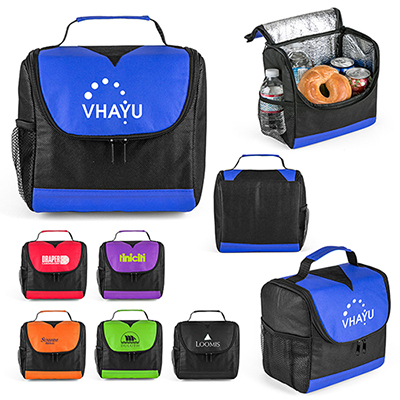 This cooler bag is available in Blue, Red, and Gray colors. Contact us to place an order!